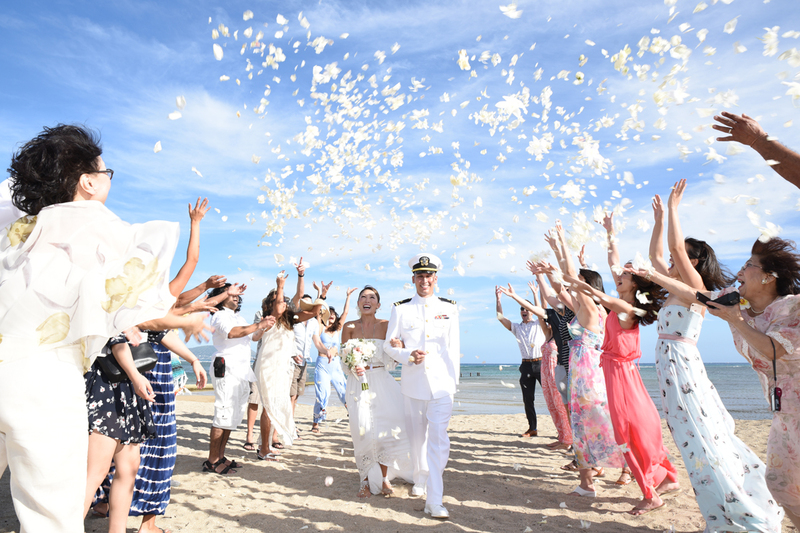 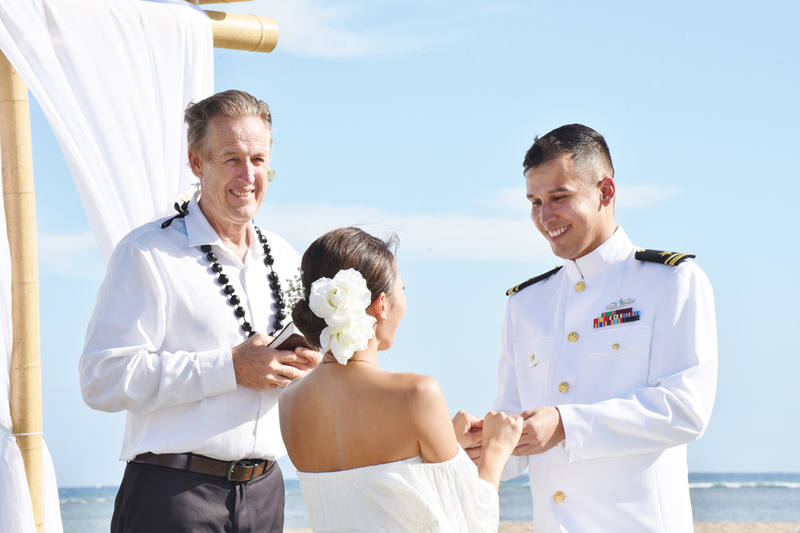 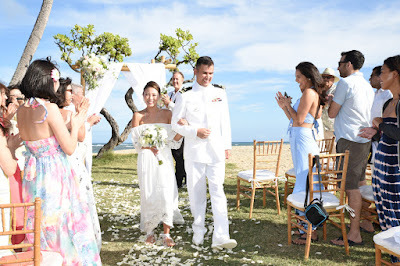 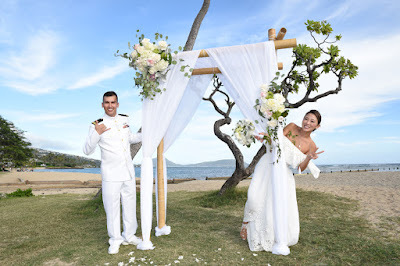 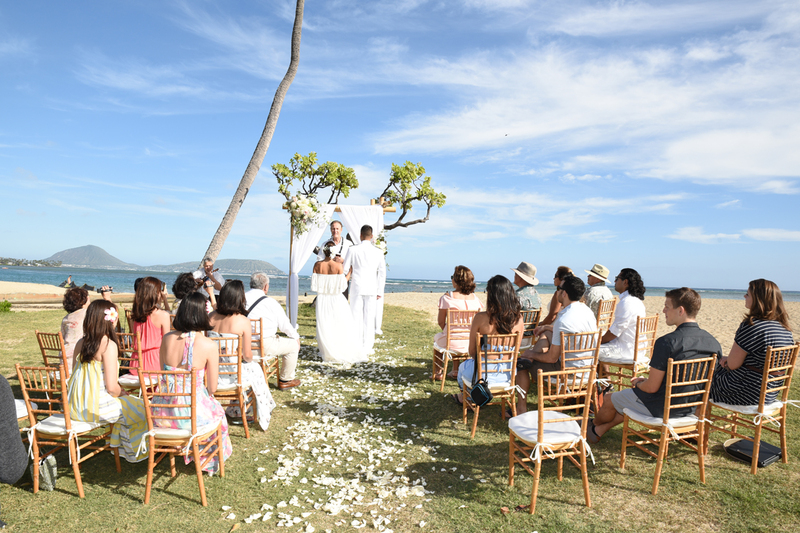 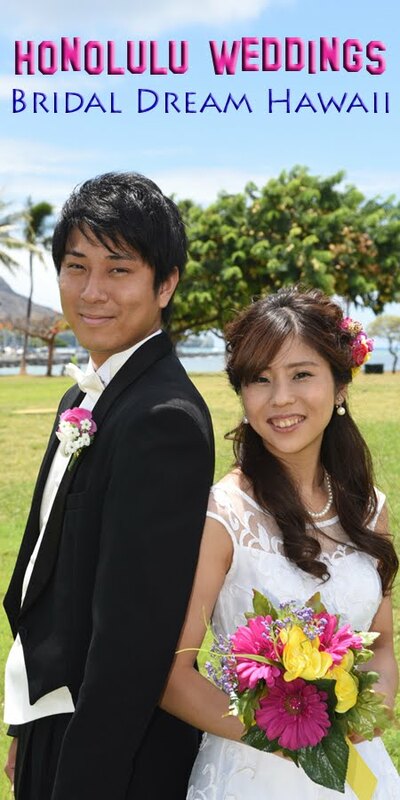 Congratulations to Danny and Hitomi, just married at Waialae Beach Park with our Kahala Deluxe wedding package at Bridal Dream Hawaii. 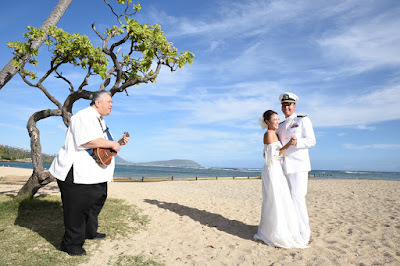 Bernard plays Hawaiian wedding music on his Ukulele. Wedding couple hired a Honolulu florist to decorate the bamboo arch at Waialae Beach Park.